We can all thank Mother Nature that I finally have material for the blog. I know it is worse to write nonsense than to refrain from publishing anything at all, but I was getting very close to putting out another philosophical, inconsequential blurb. Thanks to the weather gods, I had two weekends in row that I put aside my disdain for the bitter cold with the knowledge that the mercury would climb before the ride was over. The forecast for the last day of January was nearly 50⁰F. 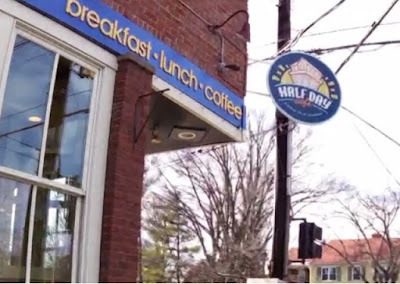 I had a hankering for a broiled grapefruit and we hadn’t been to Half Day Café since the onset of winter. The restaurant is located in the City of Wyoming, a small city just north of Cincinnati. 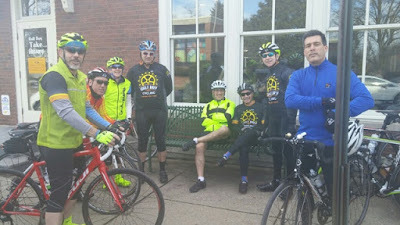 We were not the only jubilant cyclists enjoying the weather. Upon reaching our destination we came across the Half Day Cycling Club, most of whom would ride at temperatures far below my threshold. I made a short video of the ride, but honestly, it was just a nice ride on a nice day. You can’t ask for more than that on January 31st in the good, old Midwest. 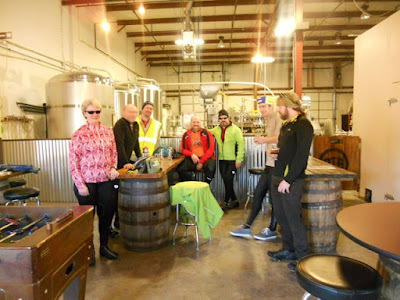 February 6th didn’t hold as much promise as the previous weekend, as far as weather was concerned, however last weekend’s ride paled in comparison to the grand tour Velo Junkie had concocted for his special day. 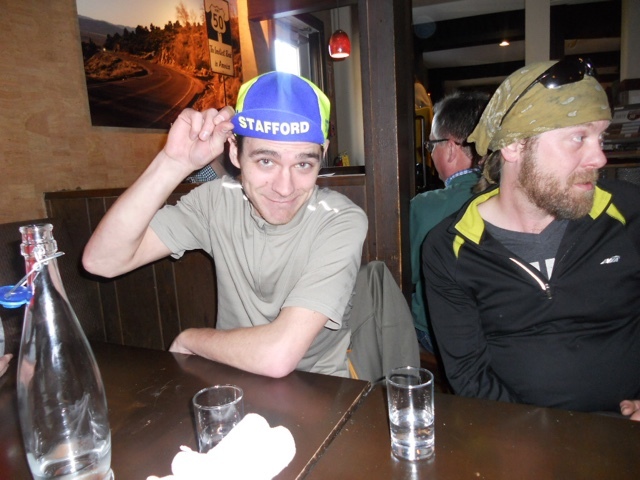 He came equipped with cue sheets for a 50 mile loop that encompassed four breweries and several climbs. I was feeling a little more than reluctant. Apprehensive was a better word. Velo had wanted to ride from the house to the start, which would have meant we had to ride home after the event, for a total of 60 miles. I squashed that idea merely by giving him the “don’t-make-me-have-to-hurt-you” look. We secured the bikes on top of the Subaru so we could start along with the rest of the group. Funny story, we got to the parking lot and the ticket dispenser was out of tickets. Whoever heard of the paking lot not having tickets? There was no way to get the gate to go up, which explained why the parking lot was completely void of any vehicles. Our only option – the garage, with a 7” clearance. Velo is pretty brilliant most of the time. I think he was still stewing about not getting to ride to the start that he made the odd decision to stop the car and turn on the hazard lights in the garage entry lane. It pained me to keep my gender-superior comments to myself as he removed the bikes from the car while several other cars had to maneuver around us to enter the garage, including some of the other riders. I think we were the only people out on that cold morning. I must mention the camaraderie among Velo and his friends. 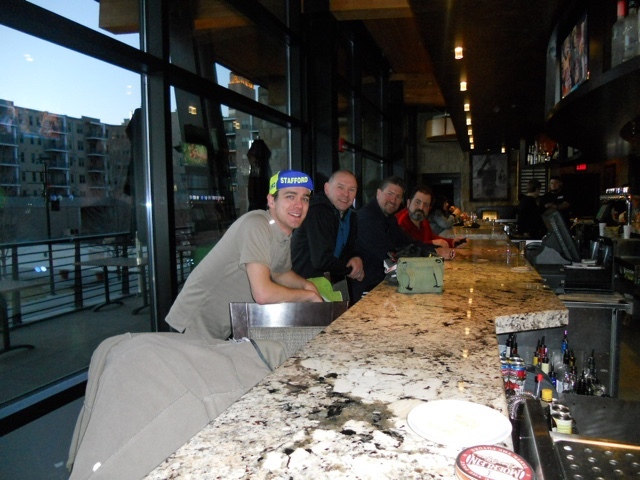 Jim, Mike, Jeff, and even my son, Urban Pedaler, and his friend, Nick, came out to celebrate the Aquarian’s birthday. 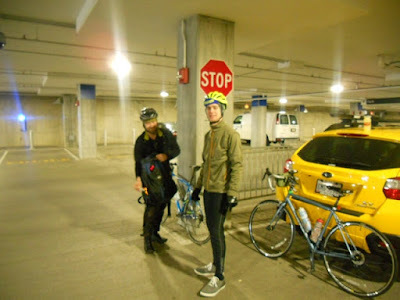 As we were gearing up in the parking garage Velo was rallying the troops, trying to contain his excitement at the turnout on such an unfavorable day. An easy thirteen-mile ride to Rivertown Brewery, one of my favs. A quick beer and photo and we were off to the next one. 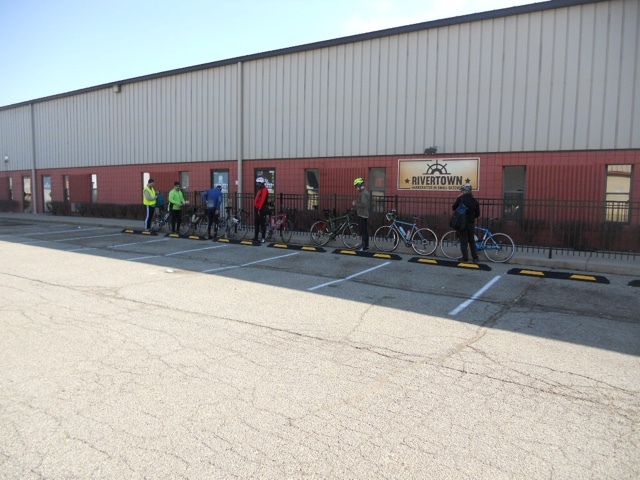 There was a moderate amount of distance and a large amount of elevation between Rivertown and 50 West Brewery. The sun was shining unapologetically and I was overheating on the hills. I was glad I dressed in layers and could start shedding them, but those damn, full-finger gloves. They were keeping my hands way too steamy. What goes up, must come down and the downhill coasting was exhilarating. I had fun in the back filming Urban Pedaler and his friend. I don’t think either had ever soared down Indian Hill before so they were descending in childlike bliss. After a meatball hoagie and a beer at 50 West my soul was ready to call it quits. My hunger was quashed and my brain had decided it was nice and comfy. Unfortunately I had to get back in the saddle if I wanted to get back to the Subaru. I slowed to a snail’s pace on the hill just a quarter mile west of the Brewery and I never regained enthusiasm. I motored on like a troll on a tractor, each revolution making my legs feel heavier than the last. Getting stuck alone at several lights and missing a turn, my beautiful, sunny, fun-filled day turned into drudgery. Urban Pedaler hung back with me until we were both unsure which way the group had turned. A quick phone call, a plea for help, and Velo retrieved us. He came upon us laughing because we were a mere block away. Next stop, Blank Slate Brewery. By the time we finished, the sun was getting lower in the sky. My spirits had lifted but my energy had not. I knew my way back to the car so I released the group of their pity for me and made up my mind I would finish, but at my pace. This wasn’t a bonk, mentally I could keep going. This was the result of lack of training during the winter. Dumb, dumb, dumb. Urban Pedaler's friend was worried about me so far behind with the sun setting. He rode the last mile with me back to the Lager House. I would have bought him a beer at the end for his empathy but he couldn’t stay. 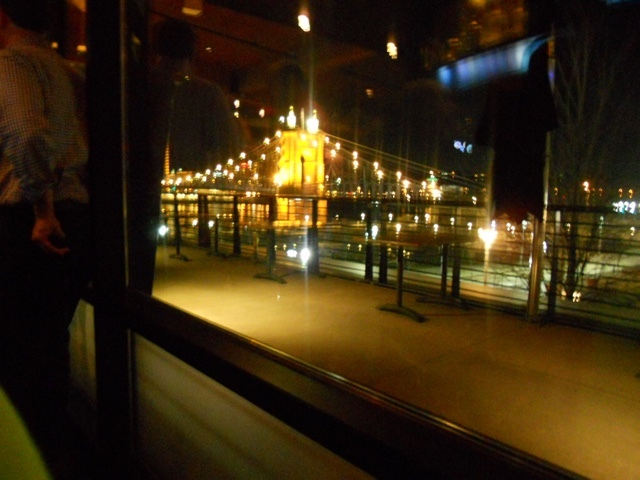 Oh the sweet feeling of success, feeble as it was, rewarded by yet another beer in the warmth of a pub, surrounded by the beautiful view of the Roebling Bridge.